River Metals Recycling in Newport was honored Tuesday by the Commonwealth of Kentucky as it was recognized for its new certification under the Safety and Health Achievement Recognition Program (SHARP). Out of more than two thousand manufacturing sites in Kentucky, River Metals Recycling is one of just eighteen to obtain the certification. Representatives from the Kentucky Labor Cabinet, Congressman Thomas Massie's office, and the company were on hand for the presentation of the honor. The employees were treated to a large lunch spread for the occasion. Formed in 1998, RMR is the largest scrap recycler in Kentucky and the greater Cincinnati area, and employs more than 300. Including the Newport facility, which has approximately 70 employees, the company has nine locations in Kentucky, Illinois, Indiana and Ohio. The Newport recycling center buys ferrous scrap and common household nonferrous scrap metal, including items such as aluminum, stainless steel, copper and brass products. The company hosts meetings every Monday morning to discuss safety issues. There has not been an on-site injury in seven years. To qualify for SHARP designation, an employer must undergo a comprehensive evaluation and series of audits, correct any identified hazards, demonstrate that effective safety and health programs are in place, and maintain injury rates below the national average for its industry for the last three years. RMR has gone more than seven years without a lost-time accident. The national average for the metals recycling industry is approximately 3.5 total injuries and illnesses that result in days away from work, restricted activity or transferred to another job, per 100 full-time employees for one year. The U.S. Department of Labor designed SHARP to encourage and recognize excellence in occupational safety and health among employers and create a proactive partnership with its Occupational Safety and Health Administration (OSHA). 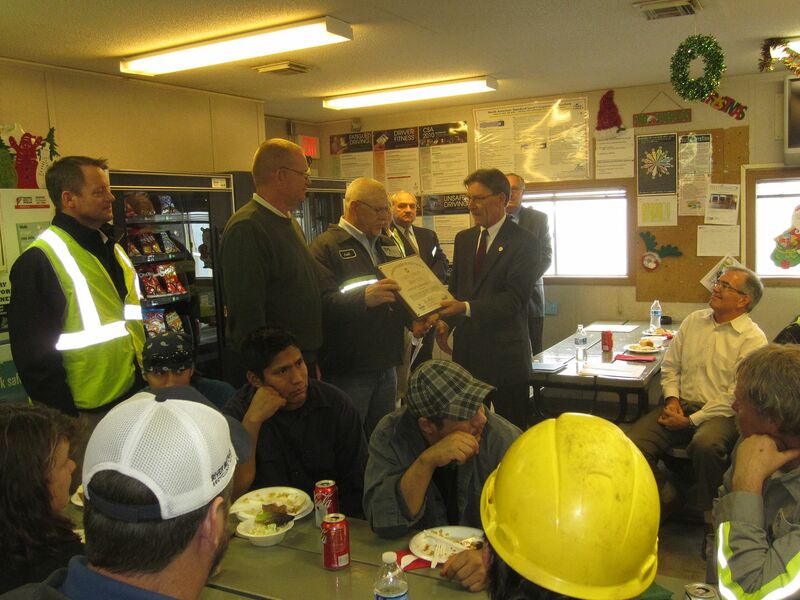 Although companies must meet federal standards for the program, the Kentucky Labor Cabinet presents the award, as Kentucky has operated its own federally-approved Occupational Safety and Health (KY OSH) program for more than 40 years. Companies must have a safety and health program that involves all employees in finding and correcting existing or possible future hazards as they develop. SHARP’s certification is good for two years, and then the company is eligible for renewal. A company is exempted from scheduled KY OSH compliance inspections during the certification period, but partners with KY OSH continue striving to improve their safety program.